Saturday 18th October 2014, 7:30 p.m. This act became The Rowan in 2016 and disbanded in Febraru 2017. The Details are a band dedicated to the song writing of Dave Carroll and Andy Morton. Dave and Andy supported by the talented multi-instrumentalist Natalie Mason in this acoustic version of the band. 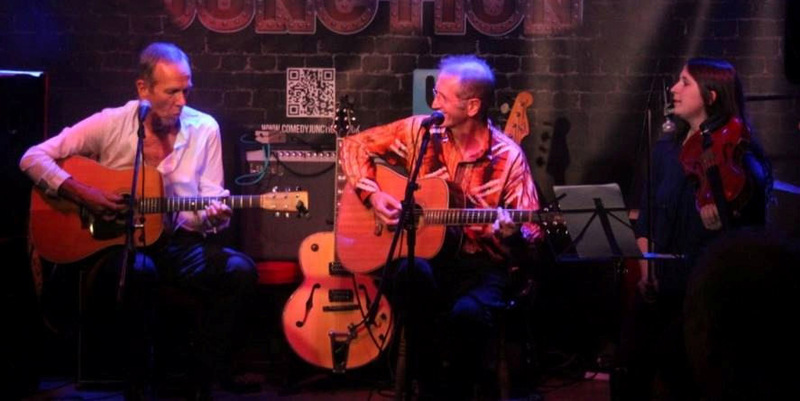 Dave and Andy have worked in all areas of music composition and production, from rock and folk bands to classical guitar composition and theatre and TV work, but here the emphasis is on original songs covering a very wide variety of styles. It may be art but it aims to entertain with strong instrumental and vocal elements.